Can dance work on the radio? Over the past few weeks, CPR’s Arts Bureau has been collecting 30-60 second dance pieces created specially for the radio. 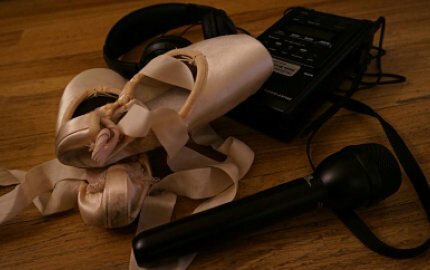 In our effort to explore what the traditionally visually-oriented medium of dance might look like—or rather, sound like–on the airwaves, we’ve solicited pieces from great local companies and institutions including Wonderbound, the CU Boulder dance department and the Colorado Ballet to represent the diverse Colorado dance community on our airwaves and online. With the help of “This American Life” host Ira Glass and dancer-choreographers Monica Bill Barnes and Anna Bass, we will present a selection of pieces from our Radio Dances project during the inaugural episode of CPR’s new arts show on Friday March 7 at 10:30 a.m. and 7:30 p.m.